Seyfarth Synopsis: The California Legislature has introduced a new bipartisan bill, AB 1870, that would give all employees—not just those claiming sexual harassment—three years to file DFEH complaints of unlawful discrimination, instead of the one year provided by current law. Seyfarth Synopsis: The California Supreme Court heard oral arguments yesterday morning in Dynamex Operations v. Superior Court, a case addressing the legal standard for determining whether a worker should be classified as an independent contractor or an employee. We expect the Supreme Court’s opinion will be significant for any entity using independent contractors in California. Seyfarth Synopsis: Employers have been scammed into sending sensitive W-2 information to malicious third parties. This article outlines the key steps California employers must immediately take if subject to this unfortunate event. We’re pleased to share a thoughtful look at whether lawsuits alleging illegal pay disparities under California law are suitable as class actions. 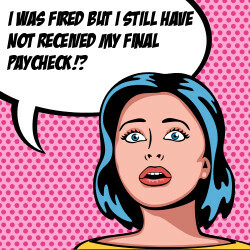 This post, recently featured on Seyfarth’s Pay Equity Issues & Insights Blog, provides some compelling reasons to argue that they’re not.